The day started with puja to Giridhari. After puja we had free time till the evening to do as we wish. A few people in the group went shopping while others rested their feet from the Parikrama the day before. It was a relaxing day … the sun was shining and the weather was cool. 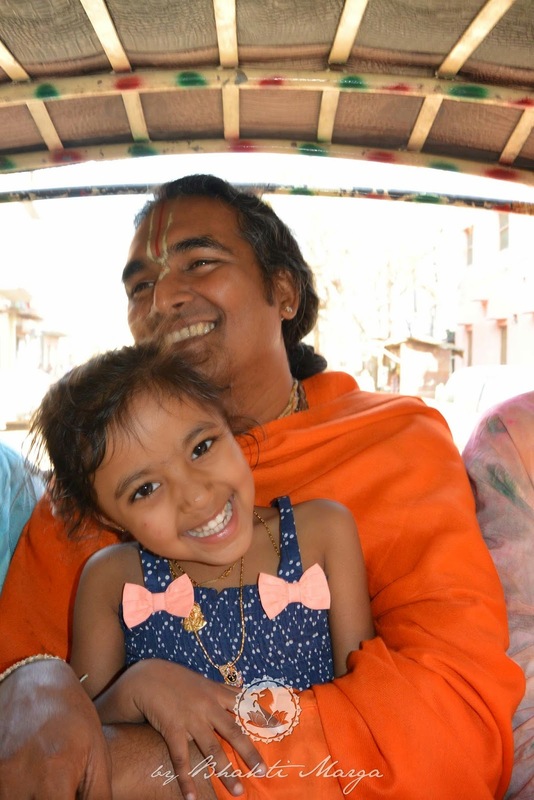 In the background one can hear kirtan constantly; either sleeping, sitting, eating or shopping Vrindavan doesn't let you think of anything else but God. 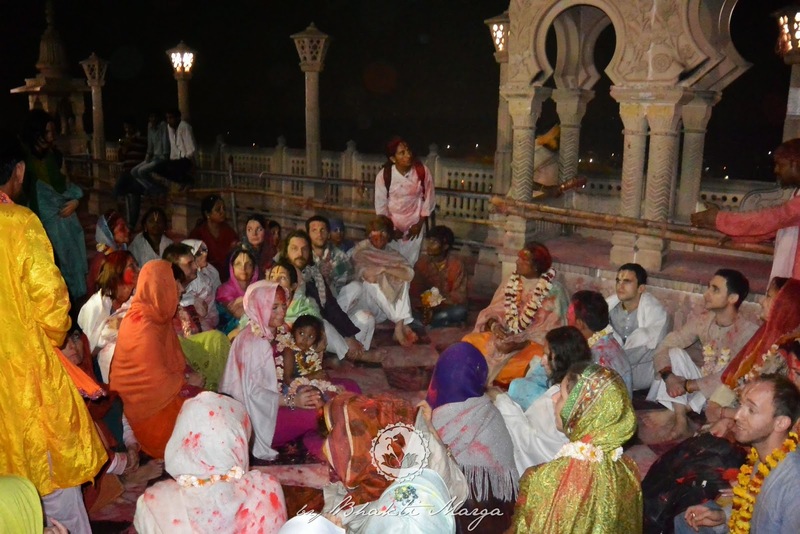 In the evening we went to Barsana which is Radha's birthplace. The main temple is located on top of a hill overlooking the city. Barsana is about an hour's drive from Vrindavan. 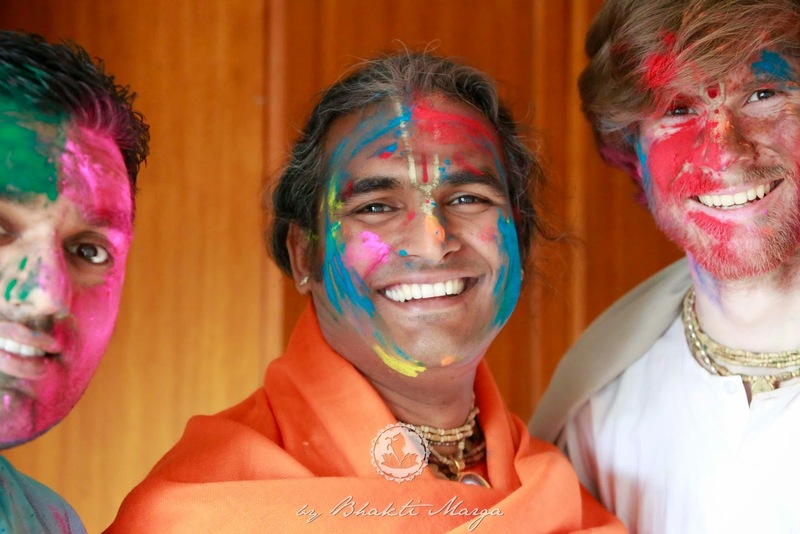 The temple was filled with people performing kirtan and it was covered with colors from Holi. 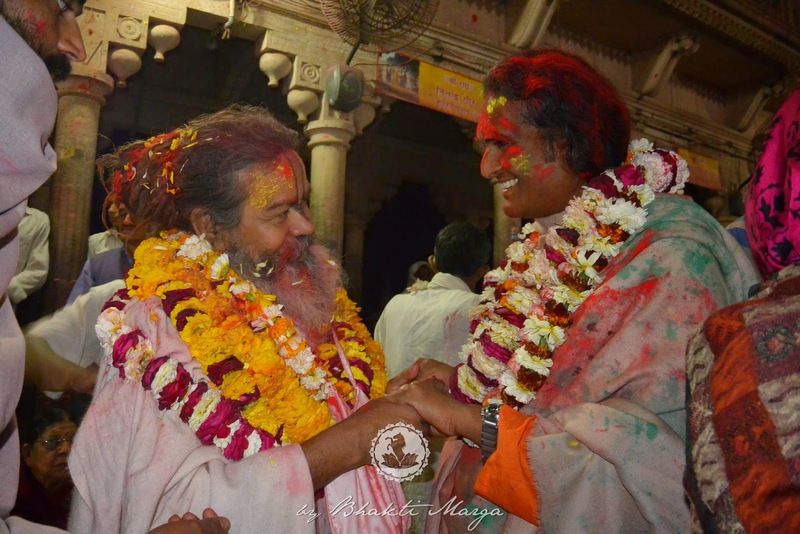 As we were performing kirtan, Swami met a great kirtan singer and Bhakta named Sri Vinod Biharidas Babaji at the temple. Biharidasji invited us to come to his ashram to perform kirtan and eat prasad, it was an offer Swamiji couldn’t refuse. After visiting the temple we made our way over to his ashram and performed kirtan with him and his devotees. Personally, it was some of the best kirtan I've ever heard. 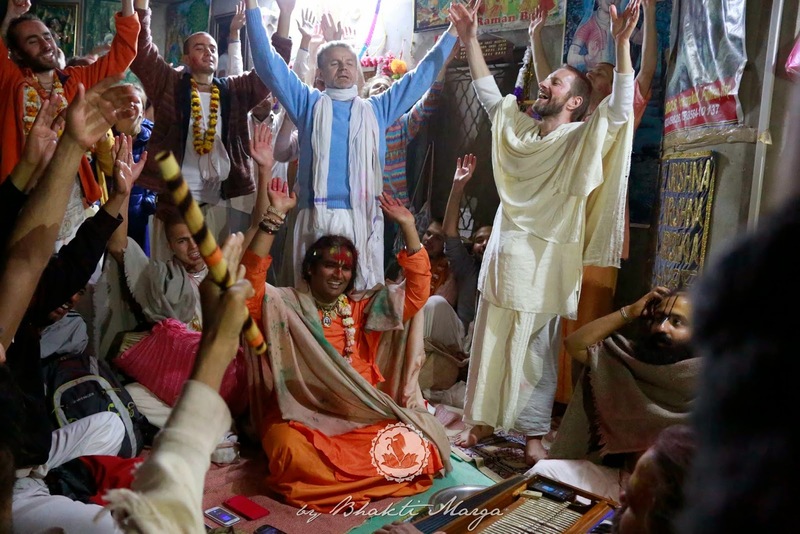 Their whole life consists of performing kirtan, glorifying the Lord day and night. Their voices don't take any long roads, there’s no traffic and no detours - just a straight shot to the heart. It’s easy to fall in Love with this place. The kirtans are sweet, the people are sweet and the food is sweet. It’s like being back home at Shree Peetha Nilaya.